Queen duvet cover (88" x 88") featuring the image "King John Ponders The Magna Carta" by RC DeWinter. Our soft microfiber duvet covers are hand sewn and include a hidden zipper for easy washing and assembly. Your selected image is printed on the top surface with a soft white surface underneath. All duvet covers are machine washable with cold water and a mild detergent. 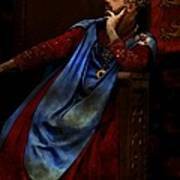 There are no comments for King John Ponders The Magna Carta. Click here to post the first comment. 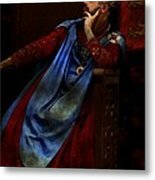 Copyright 2010 RC deWinter ~ All Rights Reserved John of England, (December 24, 1167-October 19, 1216), second son of Henry II and Eleanor of Aquitaine, is perhaps popularly best remembered in legend as the sworn enemy of Robin Hood, the English folk hero who supposedly 'robbed from the rich to give to the poor'. However, John's true historical significance is that in 1215 he was pressured by his barons to sign and seal the Magna Carta (Great Charter), the document that is considered seminal to the writ of habeas corpus, allowing the appeal of wrongful or unlawful imprisonment, and the rule of constitutional law as we in English-speaking countries know it today. 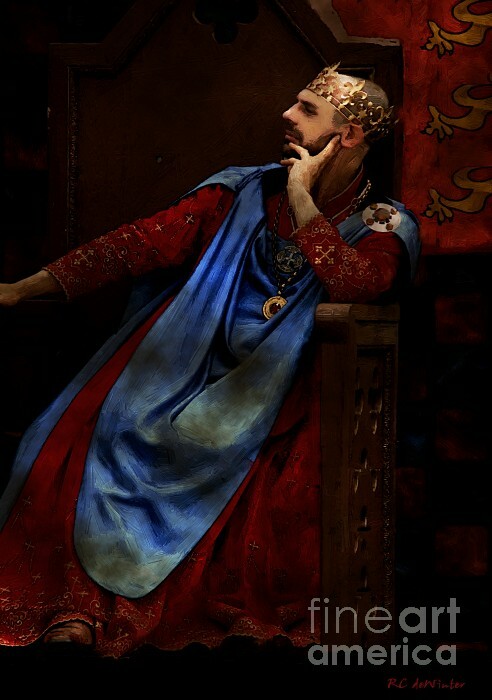 Here we see John, that infamous and despised monarch of medieval England, sitting alone in his chambers looking simultaneously tired, discouraged and angry, brooding on the limitations the Magna Carta will impose on his royal prerogatives. 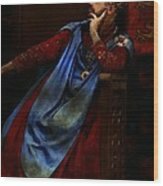 To this day the English have never had another king named John.